This free meeting schedule template was designed to assist with the scheduling and organization of a meeting itinerary or agenda. It was created as a PowerPoint visual, so it is easy to communicate the meeting schedule to colleagues, team members, guests, presenters and other meeting participants. The meeting schedule template was designed in a Gantt chart style to provide business professionals and their audiences with a clear, easy-to-follow visual of all the planned meeting activities. 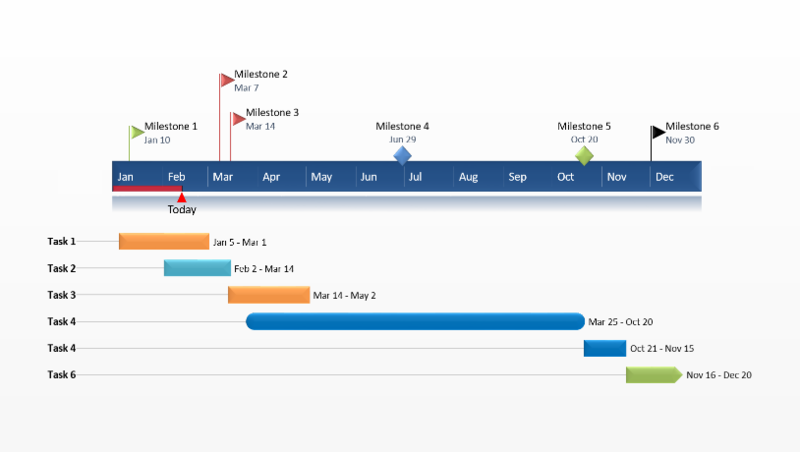 The Gantt layout is well suited for visualizing meeting appointments that may have conflicts, or which may overlap with other scheduled events. This meeting slide was created to provide a high-level view of a multi-day agenda but can be used for planning meetings less than an hour in length or less than a day in length. 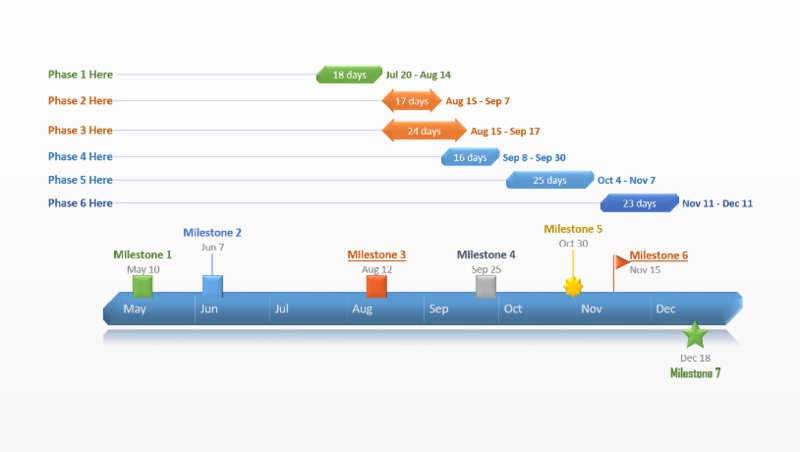 Creating a visual timeline for client meetings, seminars, training sessions, conferences, workshops or other events can be time-consuming. The free meeting schedule template is a tool to help expedite the job of making a clear, accurate meeting chart in just a few clicks. You can download the template for free and manually edit it directly in PowerPoint, or you can customize it with the Office Timeline meeting schedule maker. 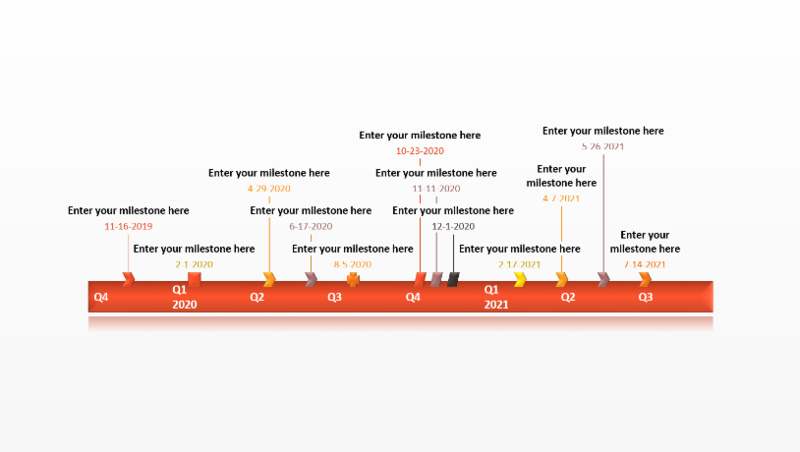 Office Timeline is a PowerPoint add-in that enables professionals to create visual meeting schedules instantly and automatically. The template is easily customizable in PowerPoint, so updating the visual to accommodate any changes that occur over the course of planning a meeting can be done easily. 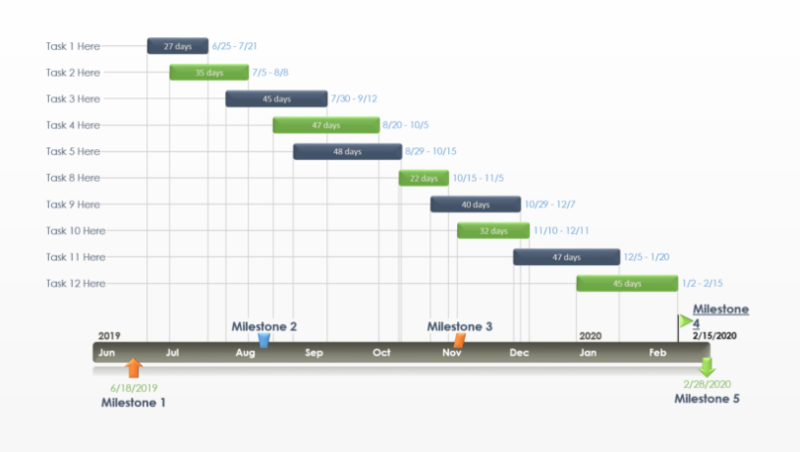 Office Timeline allows you to immediately change the meeting schedule as plans move or as the agenda shifts. It also integrates with Microsoft Excel, so any meeting schedules created in Excel can be imported into PowerPoint and quickly updated with a click of a button when the Excel data changes. 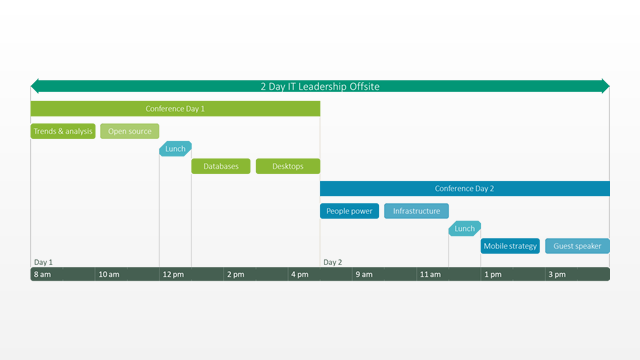 Use this schedule template to create a high-level overview of the agenda for your meeting. It can be printed or emailed to the attendees and speakers of your meeting as a way to clearly set the daily timetable. Once customized and styled to fit your preference, the template can be reused for any future meetings that require a visual.